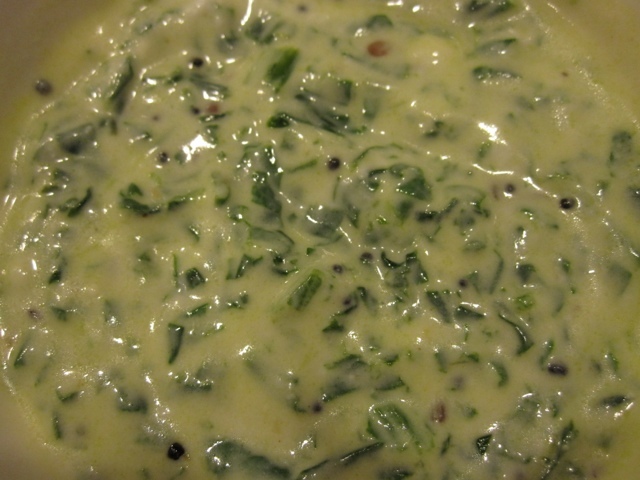 Prepare seasoning add Onion and green chilies, when they get soft add Spinach and salt fry until it become tender. let it cool for a while. Beat yogurt until smooth then add spinach. Serve with Rice / Chapathi.